6 easy weeknight dinners plus a fruity, seasonal cobbler! Sign up for our Weekly Meal Planner Email Newsletter here to have 6 great dinner recipes (along with a full shopping list) delivered to your inbox every Sunday! There's no denying that we love a hearty potato boat for dinner. 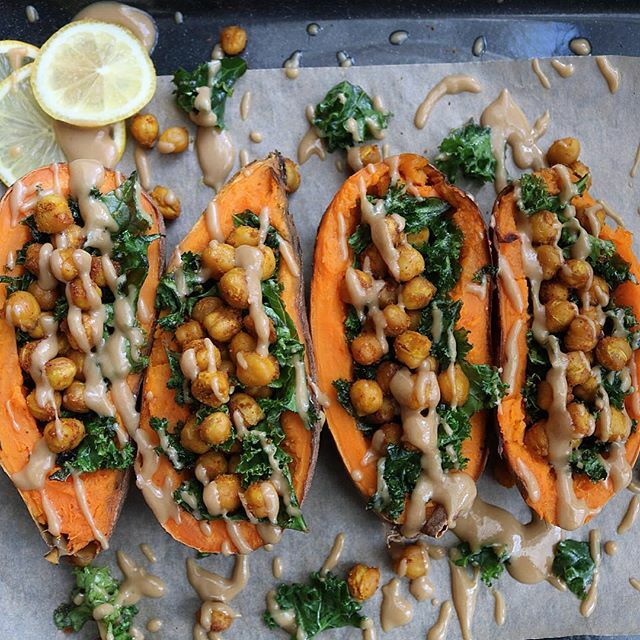 Stuffed to the brim with hearty kale, spicy chickpeas, and a luscious tahini drizzle, these sweet spuds have got it all. Feedfeed Tip When it comes to simple tahini dressings like this one, it's important to make sure that you're using the best possible tahini you can find. This way, the nuttiness of the sesame seeds can really shine through without any unwanted bitterness. What's our favorite? Seed + Mill! When you're stuck in a dinner rut, grain bowls are the ultimately way to get you right on out. 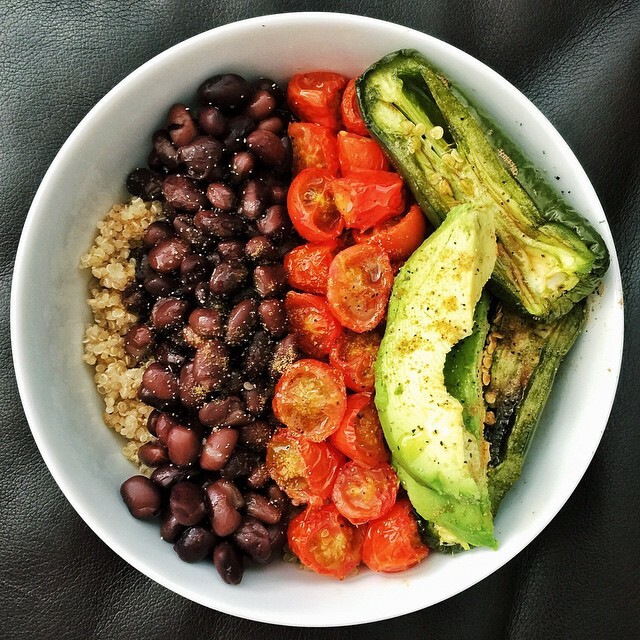 Topped with black beans, tomatoes, avocado and jalapeno, this simple Mexican bowl is an easy way to get dinner on the table without falling back on takeout. Feedfeed Tip Make sure to wear gloves when slicing the jalapeño, because if your fingers come into contact with your eyes (even much later), this can cause irritation. If you're sensitive to spice, de-seed the jalapeño (the spiciest part of the pepper), or just skip it entirely. 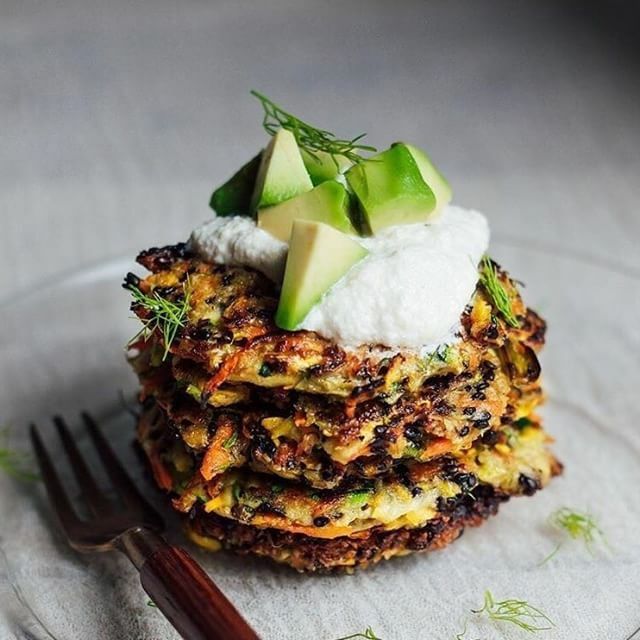 'Tis the season for having an unfathomable amount of zucchini, so these delicious fritters are the ultimate way to put your garden's bounty to good use. Serve these with a salad or a bowl of grains, and your dinner is complete. Feedfeed Tip Although overnight is ideal, if you're short on time with the cashew aioli, rely on a quick soak in hot water to get the job done. Change out the water every 15 minutes with hot water to expedite the process, and they should be ready after 1 hour. Gazpacho season is in full swing and we couldn't be more excited. 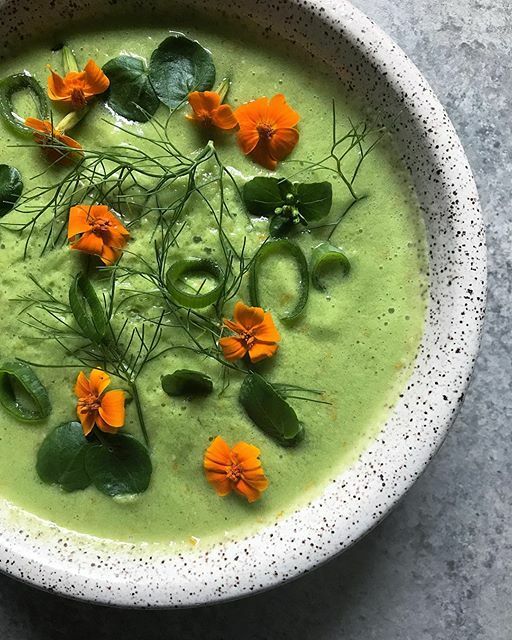 This simple green concoction is an easy way to use up the tomatoes and zucchinis that just keep springing up in your backyard garden. Feedfeed Tip If serving immediately, pour over ice cubes into cups or bowls. Otherwise, refrigerate until chilled before serving. This can be prepared 1 day ahead so long as it is stored in an airtight container in the fridge. 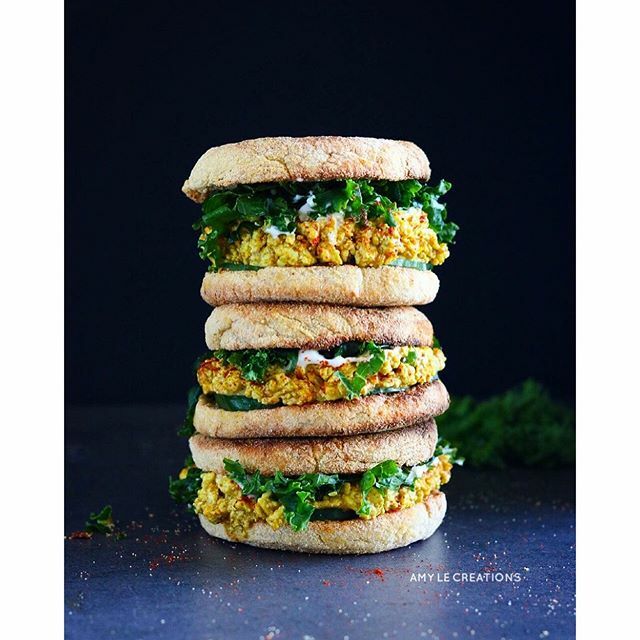 Crumbled tofu bits serve as the ultimate sandwich filling in these hearty "egg" sandos. Seasoned with plenty of curry powder and other ground spices, this dinner is anything but shy on flavor. Friday night means one thing and one thing only...pizza night! This week's pizza gets a slight makeover, and comes in the form of a burger. 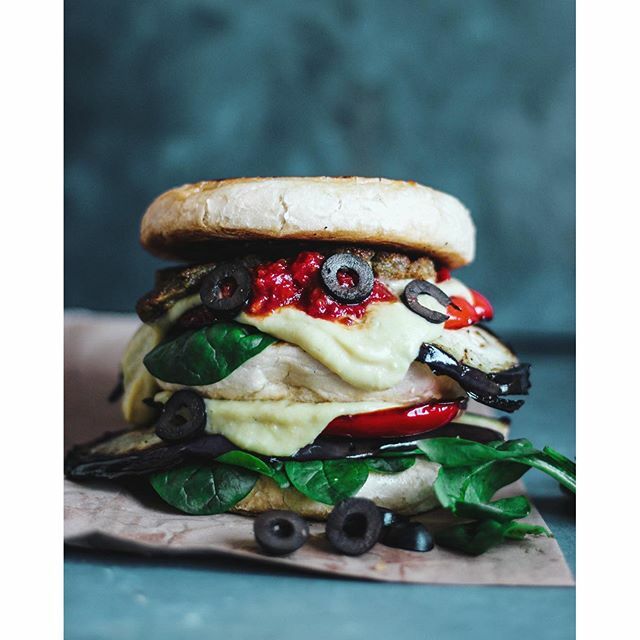 Perfect for the picky eater in your life, this melt-in-your-mouth sandwich will get the thumbs up from everybody. Feedfeed Tip If you want to give your vegan cheese sauce a yellow glow, add some ground turmeric. Not only will this provide a subtle, earthy flavor, but it provides a beautiful, bright color. When in doubt, crumble it out! 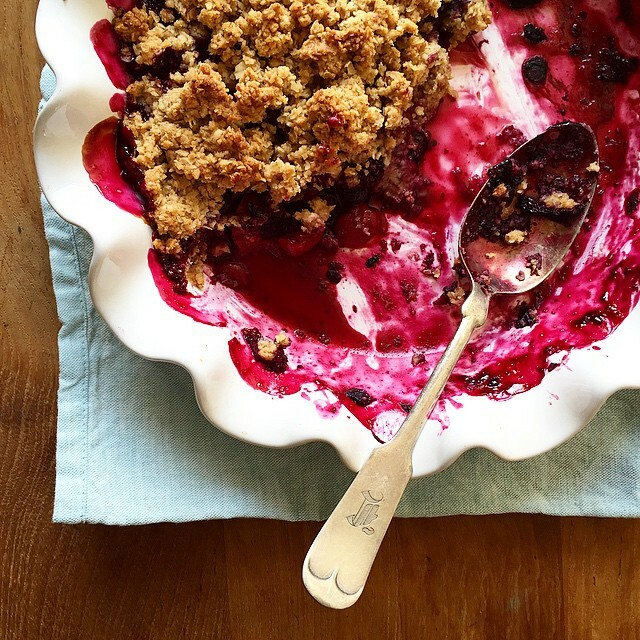 If your summer fruit is on the brink of overripeness, quickly throw it in a simple crumble and call it a day. A scoop of vanilla ice cream wouldn't hurt, either.